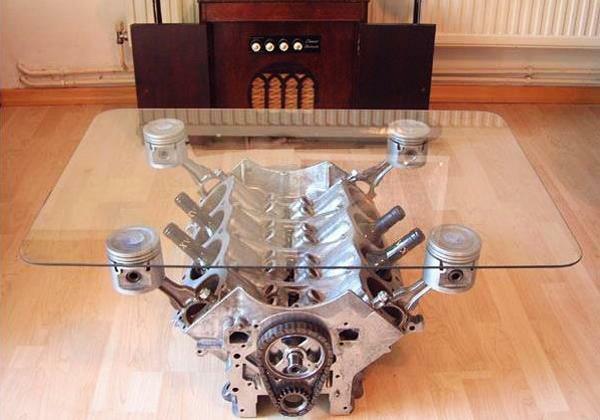 Recycling old car parts for modern furniture creates amazing items, tables, chairs, sofas, bar tables, beds and console tables for interior decorating. 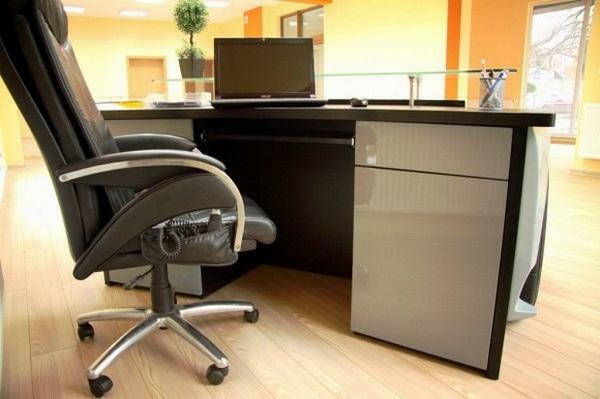 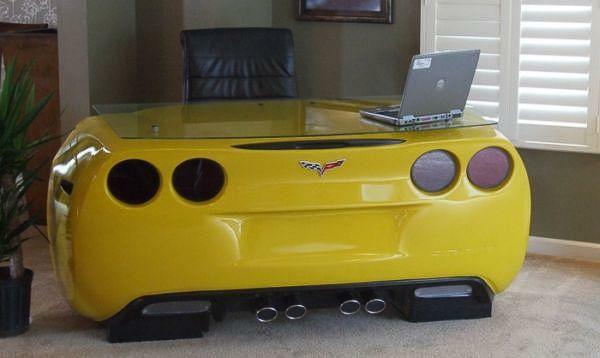 Offices, restaurants and home interiors look unique, surprising and creative with these fantastic furnishings that give character to modern interior decorating and make a statement. 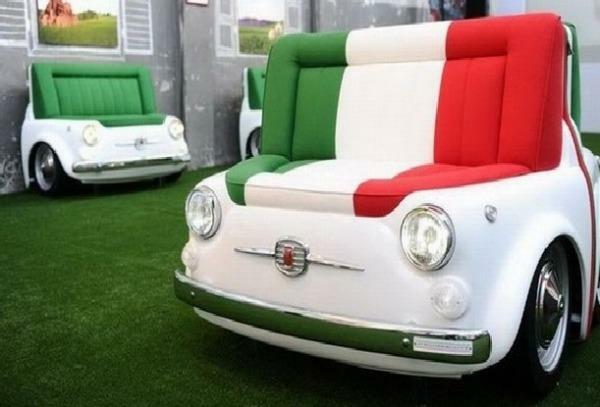 Unique furniture pieces, recycling car parts into artworks, attract the attention and delight guests, adding innovative and impressive modern furniture to work and living spaces. 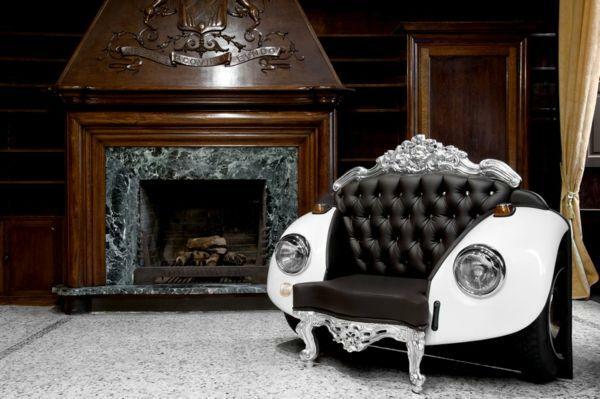 The Glamour Beetle chair from Glamour Design ZAC blends high quality and timeless luxury into fresh and unique furniture design, offering comfortable and beautiful armchairs that bring chic and style into modern interior decorating. 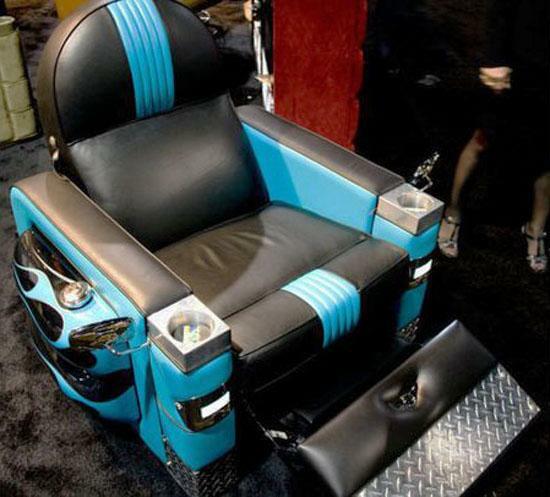 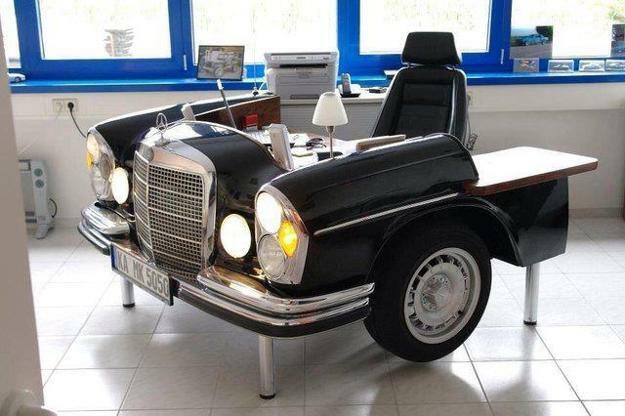 The movable modern chair combines the passionate love for vintage cars and desire for luxury. 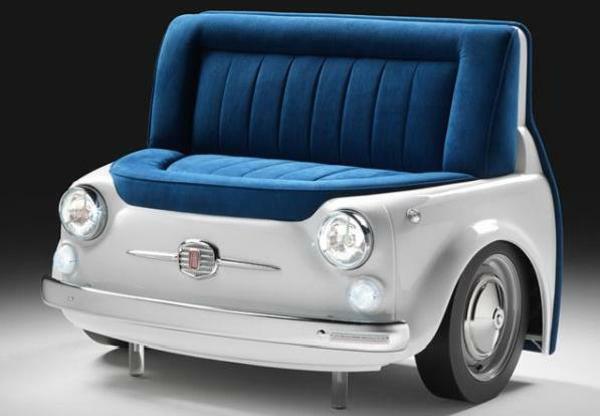 With bright glamorous upholstery fabrics in rich colors, the armchair features a frame created with front part of a car and wheels. 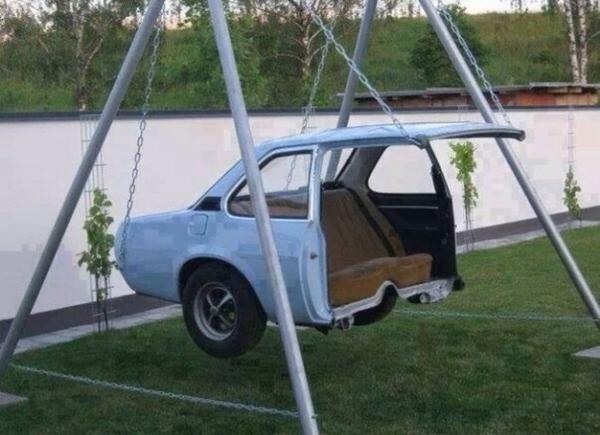 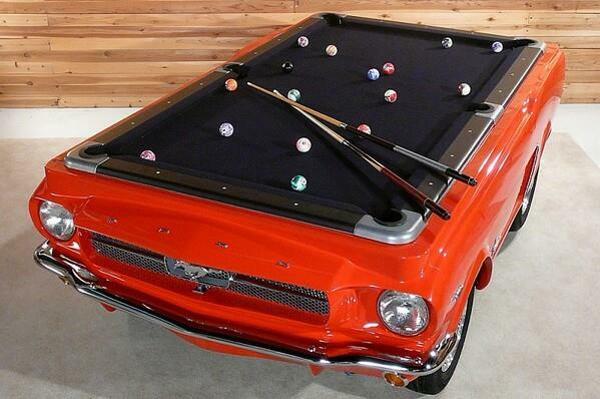 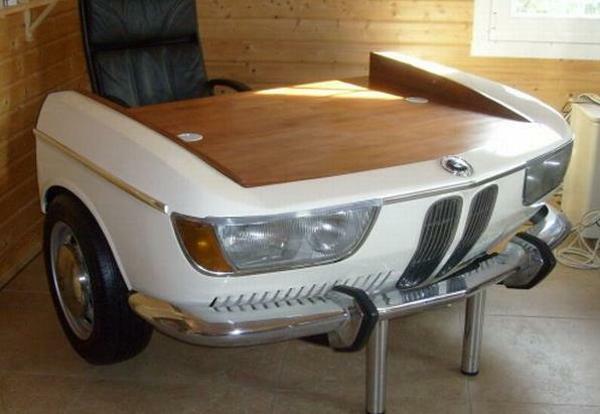 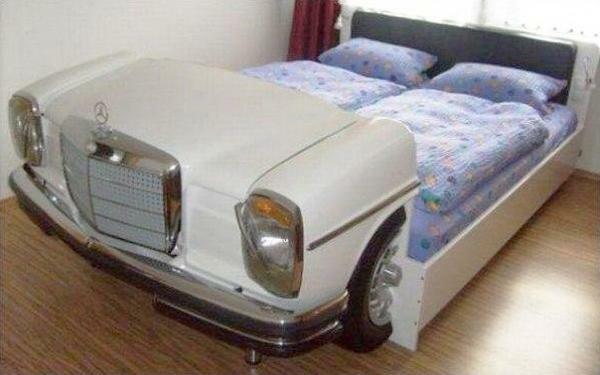 The unique furniture piece is an inspiring example of recycling car parts. 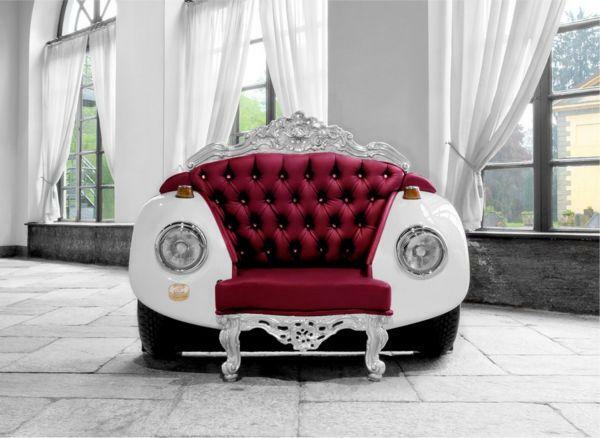 The front of classic Volkswagen Beetle MY1968 looks elegant and beautiful with plush fabrics in burgundy and dark brown colors. 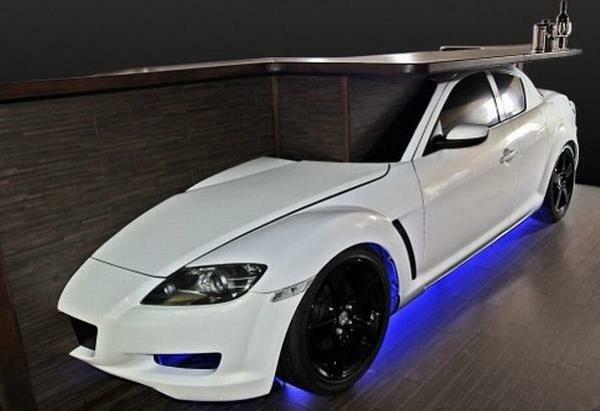 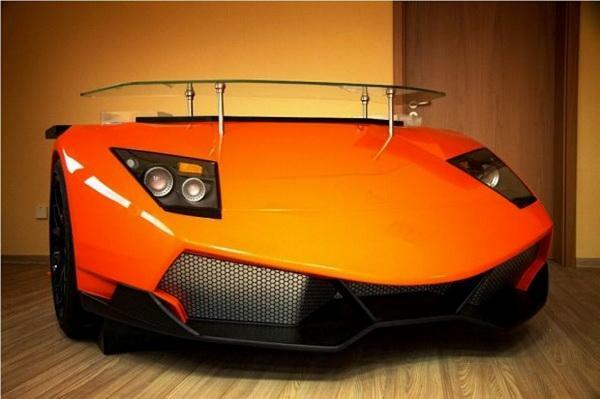 Perfect for any interior decorating, this unique furniture design idea is inspiring, bright and functional. 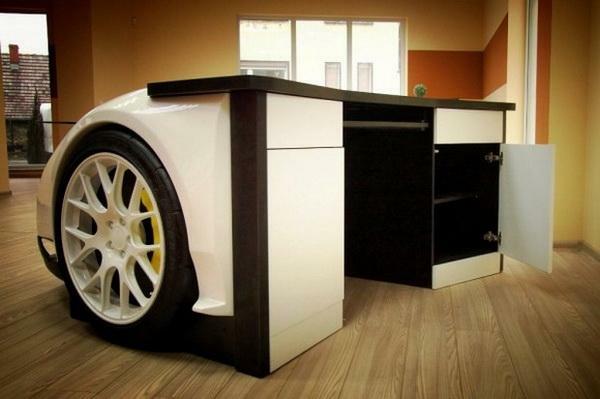 This unique furniture comes from Design Epicentrum and uses prestigious cars parts for modern furniture design. 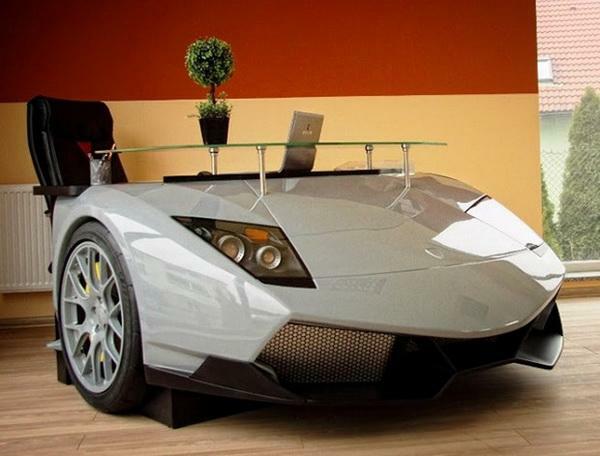 The office desk, stylized ad Lamborghini Murcielago, looks amazing, bringing the luxury of exclusive cars into modern interior decorating. 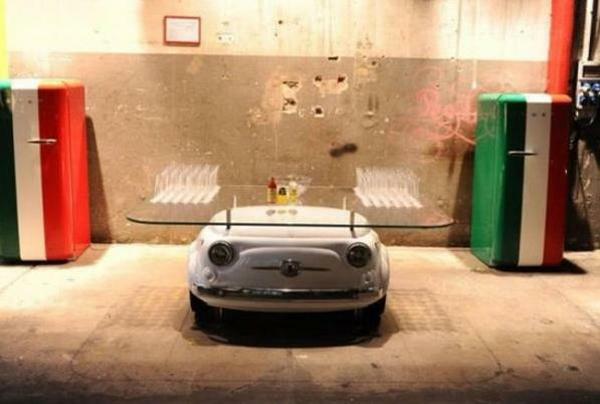 Fiata500 is a glass top table that recycle Fiat parts and turn this classic car into a unique furniture piece that brings personality and creativity into modern interior decorating.